Queen Elizabeth II turned 90 on April 21, 2016 setting off weeks of celebrations in Britain leading up to her “official” birthday in June. 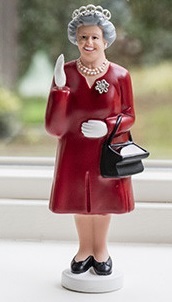 So there is still plenty of time to celebrate and the best way I know to mark this impressive milestone is with the limited edition Solar Queen from the fine folks at Kikkerland. Check out the Solar Queen from Kikkerland here. Find Elroy the Solar Corgi from Kikkerland here. 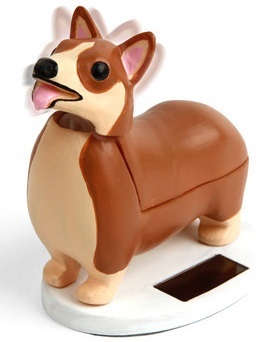 See all the fun items available from Kikkerland here. 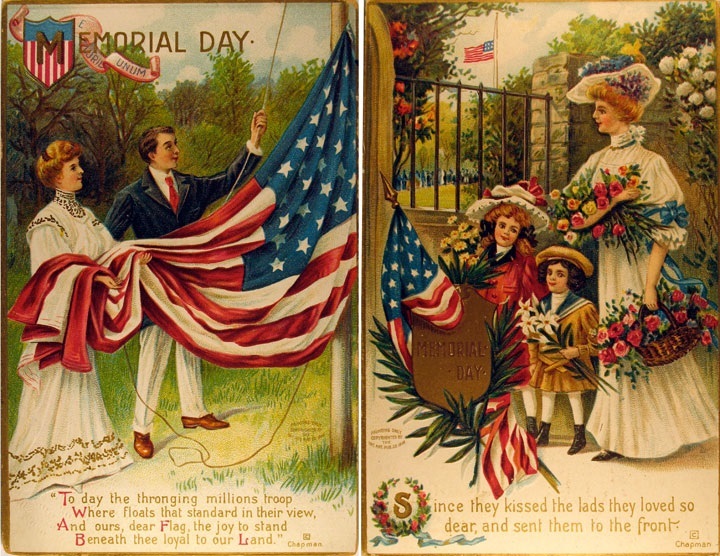 …honoring those who made the ultimate sacrifice. 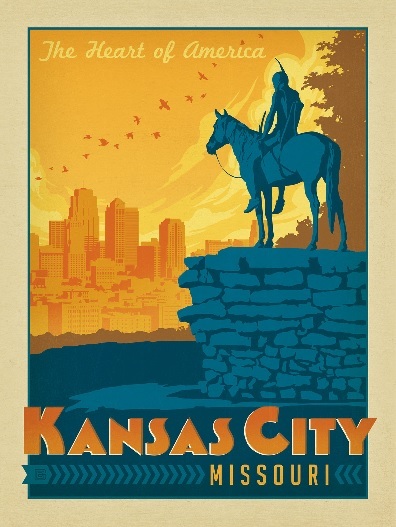 Find the Kansas City Travel Poster from Anderson Design Group here. Find all the great art from the Anderson Design Group here. 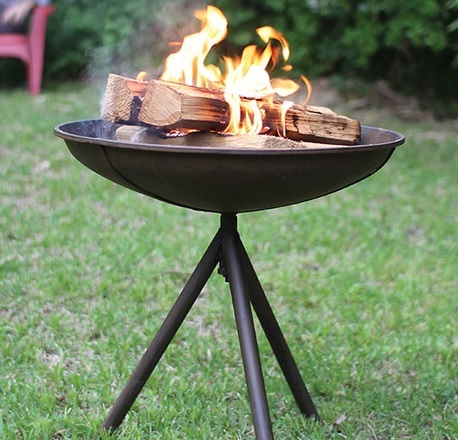 I have mentioned my love of outdoor fires, and there are many options to choose from these days, but I am really loving the Portable Charlie Fire Pit I recently found from the fine folks at Dot & Bo. 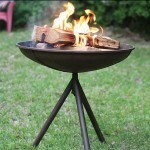 Find the Portable Charlie Fire Pit from Dot & Bo here. 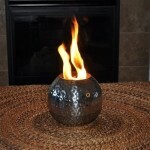 See all the fine home products from Dot & Bo here. Like I said, I love all manner of outdoor fires, from fire pits, to bonfires to simple torches. Which is why I love the Fire Pot collection from ATG Stores, which includes the Starlite Garden & Patio Torche. Find the Starlite Garden & Patio Torche from ATG Stores here. See ATG Stores’ full Fire Pot collection here. 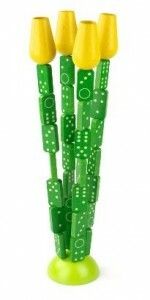 See all the cool home products from ATG Stores here. OK, today’s find is really cool and I can’t wait to check them out in person on my next visit to New York – it’s the fine folks at West Side Kids. Now there are toys stores galore and many options to procure your toys, but how many of those places have things as cool as Domino Tulips (above right)? 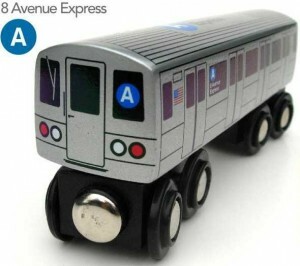 …like the NYC Subway A Train. West Side Kids is located at 498 Amsterdam Avenue (at 84th Street) on the West Side of the great city of New York, NY USA. …West Side Kids also has an online store – check it out here. The best part of the Kong flipbook is that it is a low-tech throwback to a simpler time and it is as fun as ever. The King Kong flipbook from Fliptomania, interestingly enough is NOT available from Amazon, but can be found directly from the fine folks at Fliptomania. See all the awesome flipbooks offered by Fliptomania here. I was just looking at some of my old posts and realized that is has been three years since I’ve visited London – one of my most favorite places in the world. 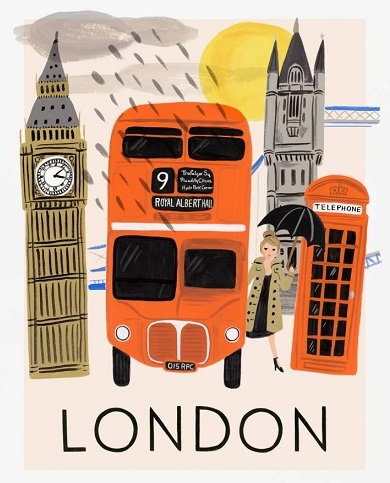 But the fine folks at Rifle Paper Company are helping me get my fix with this illustrated art print of London created from an original gouache painting by Anna Bond. Find all the fine products from the Rifle Paper Company here. 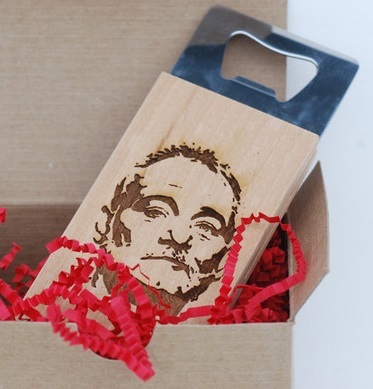 Ok, hyperbole aside, this is one the coolest finds I’ve had in a while, the Bill Murray Bottle Opener I found from the very fine folks of Meriwether of Montana. Find the Bill Murray Bottle Opener from Meriwether of Montana here. See all of Meriwether’s cool products here. 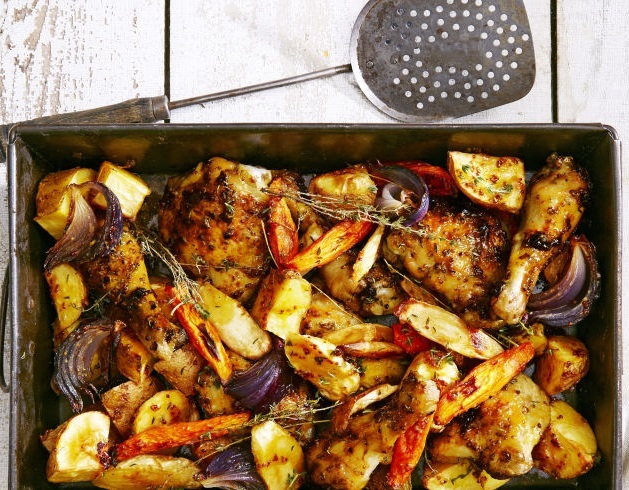 I like one pan recipes for a complete dinner that aren’t casseroles. And I love every ingredient in this recipe for a Honey Mustard-Glazed Chicken Bake I found from the fine folks at Good Housekeeping magazine. 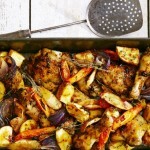 Find the recipe for Honey Mustard-Glazed Chicken Bake from Good Housekeeping here. See all the other fine recipes and household tips from Good Housekeeping here. The fine folks at Heifer work to help the world’s poor find sustainable income streams so they may prosper for the long term. Learn more about Heifer and how you can support their important work here. Lost Cowboy is powered by	WordPress 5.0.4 and delivered to you in 0.872 seconds using 58 queries.